Like many of you, part of my day is spent cruising around a long list of motorcycle blogs to see what is new and what was old is new again. 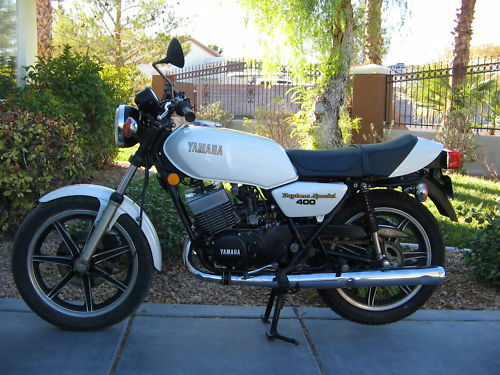 When I ran across a very well put together Yamaha RD400 I went looking for one to see what was available, the condition you can find them in, and how much my day dreams would cost today. This is what I found. As you would imagine the RD350 was produced first, and with its success it grew into the RD400. 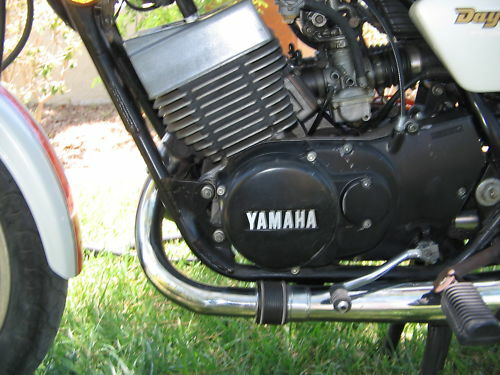 What is unusual is that Yamaha did not just bore out the 350 to get 400, they increased the stoke. To do that they that had to re-tool to create a larger engine case. A very large investment in equipment, one that was not likely recouped as the RD400 may have been at the beginning of the end of 2-stoke sales in the US. By 1979 the RD400 would produce 30bhp, and with a 6 speed transmission be able to drive the rider and 355lb bike to a top speed of 108mph. 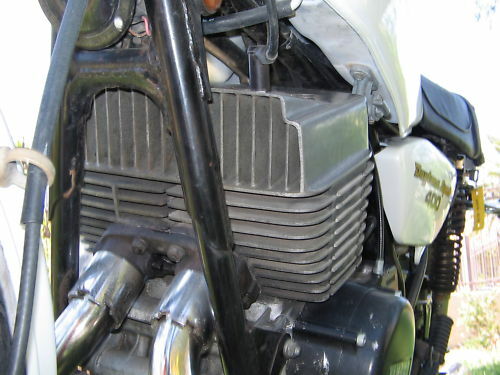 Yamaha moved the engine forward in the frame with the RD400. They hoped that this wold keep the wheel on the ground, a problem that a few riders of the RD350 seem to have. While looking for performance information I did run across these guys, who have pushed 86hp out of there RD400 engine, and in a modified frame got it up over 170mph. WOW. Here it is folks! Last chance at another pretty mint,all stock(except bars)un-molested Daytona Special. I bought this bike in 1989 from second owner with 600 mi. Was my only transpo in bay area for a couple years. Have stored it since. Cases never cracked.Carbs never jetted.Original bars still available for around $100. Never riden in Vegas(too hot,dry). 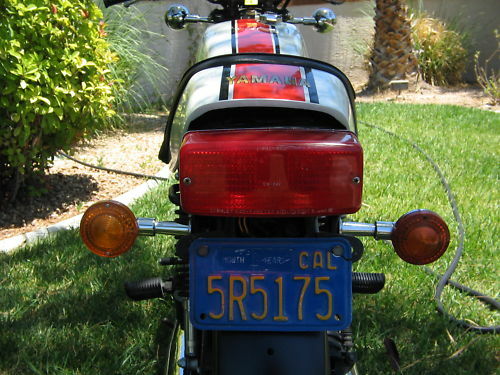 This bike has never been restored, I have replaced paint,battery,tires,brakes,rings,tailight lens,decals,and misc. rubber grommets. Would take very little to bring to museum quality.Vowed to never sell it but other projects prevail. By the way this specimen runs like a champ and is not for the unexperiencd. I have had a hard time finding any information which makes the Daytona Special special. It appears to have only come in white, and possibly with a fairing. If anyone has some information please feel to free to add a comment. If white is not your color, there is also a red RD400 for sale, and if you are looking for a project, this yellow RD400 looks to need a little TLC. The Daytona Special has different body work from the other RD400s. The tank, cafe tail and painted front fender. It also has an exhaust valve. No fairings. Daytona Special was only 1979 model so this can’t be a true DS since it is listed as 1977.